This week in Orlando, Florida, the 2016 North American Irish Dance Championships, the Irish dance national championships, get underway with several thousand dancers and several hundred teams in attendance. As a brand new school, Bluegrass Ceili Academy won’t have any dancers competing this year, but the competition always brings back a host of great memories. Five years ago, in Nashville, I took two teams of dancers to the competition (pictured above). I was coaching at the time with a school in the Washington, D.C. area and was year away from taking my teaching certification exam. It wasn’t the first time we had traveled to the Irish dance national championships — we had gone several times before to Philadelphia, Ottawa (2007) and Nashville (2008) and had placed as high as 3rd. In 2009, we took two teams to Nashville to compete, including several veterans of the 2007 and 2008 competitions. Competing in Irish dance competitions takes a lot of time and effort. Learning the dance is the easy part. Perfecting it for the stage takes long hours of rehearsal and dancing the same routine over and over again. But when you love dancing and enjoy spending time with friends, it’s worth it. 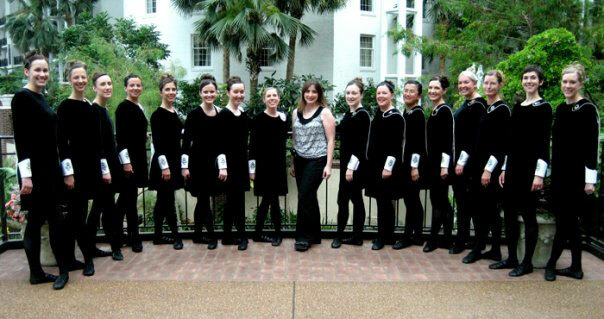 Five teams competed in the Adult Ladies Ceili competition in the Irish dance national championships Nashville in 2009. One of our teams danced the Eight Hand Jig, the other danced Trip to the Cottage. Both danced wonderfully, but only one team — the Jig team — was recalled to the awards ceremony. Knowing that means they placed in the top three, we just didn’t know where. 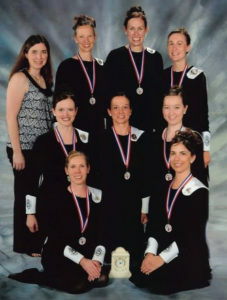 The 2009 Irish dance national championship adult ladies winners. Awards at an Irish dance competition are a bit like a Miss America pageant — staring with the runners up and working your way to the top. And lot like Miss America awards, there’s some squealing, jumping for joy and happy tears when a team isn’t announced at the start. That year, our number wasn’t called for 3rd place. Or for 2nd. We got 1st. The hard work had paid off. Our trophy that year was a clock — to be more specific, a Belleek Irish porcelain clock. It wasn’t too shiny, but we were happy to have our team photo taken with that clock, which symbolized the hours upon hours of time we’d spent working towards our goal. As with any group of dancers, people move on to other activities, other cities and other changes. But lifelong friendships develop from moments such as these. As this year’s Irish dance national championships approach, I can’t help but miss the friends who took that journey with me. This year, only two members of that 2009 team will be in Orlando for the 2016 North American Irish Dance Championships. I’ll be there to watch and cheer them on. And then, this fall, I’ll begin teaching Irish dance in Lexington to a new group of Bluegrass Ceili Academy dancers with our sights sets, once again, on Nashville and the 2020 Irish dance national championships. 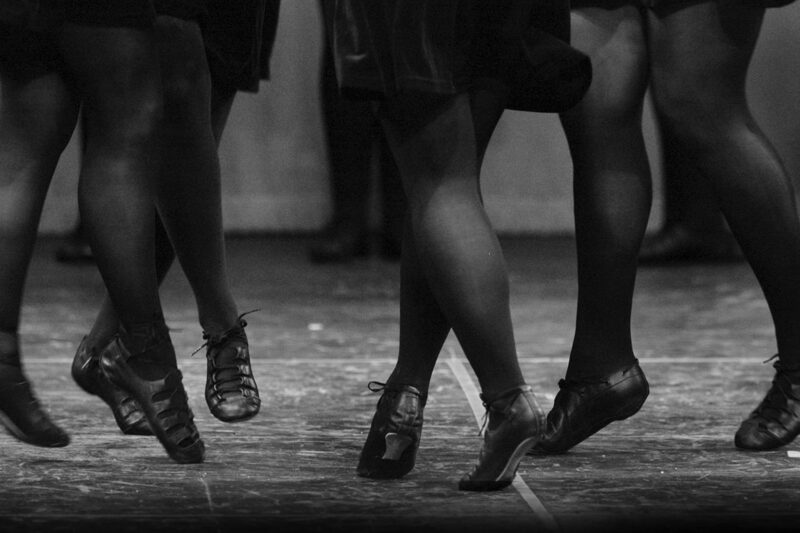 ← Lexington’s Bluegrass Ceili Academy heads to dance camp!